Click on the Help menu in the top left corner of your screen and then select the Uninstall option. 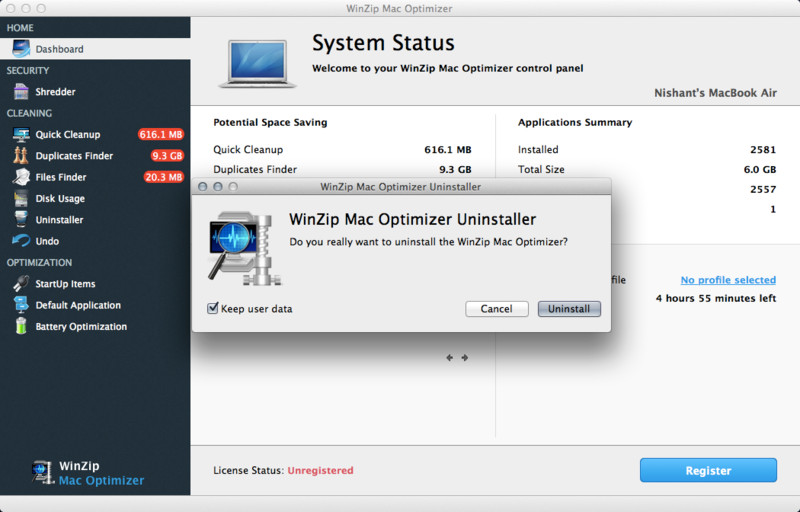 In the prompt window that appears, click on the Uninstall button to complete the uninstallation process. 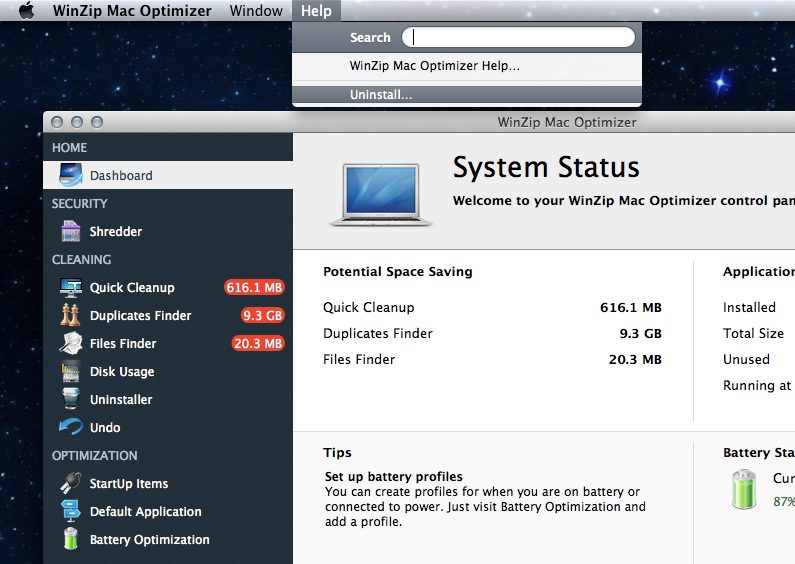 This will remove WinZip Mac Optimizer from your Mac!